ママ: How many cookies do you want to give to Santa Clause? ママ: Which ones do you want to give to Santa? Katie: This one. This one. This! ママ: There are three cookies. OK. Now milk for Santa. 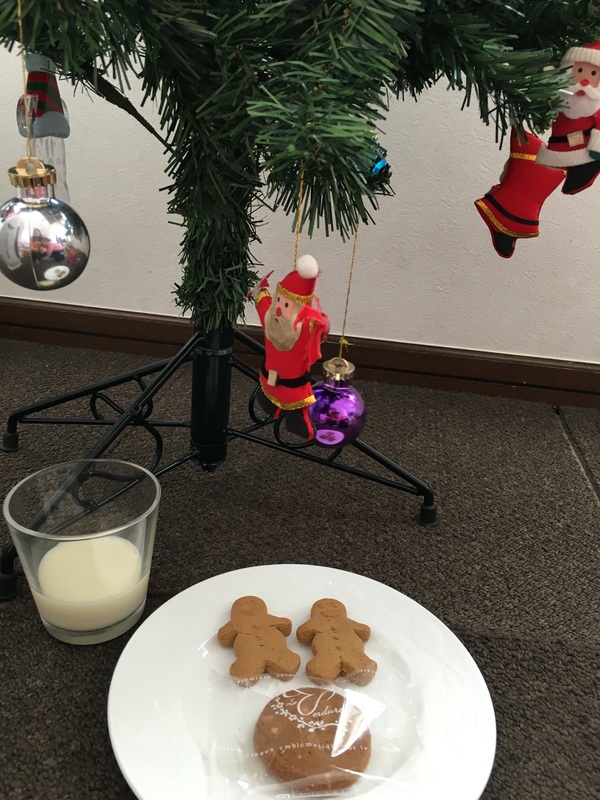 ママ: Pour some milk for Santa.